The Pembroke Golf Club was established in 1922 as a nine hole golf course. It remained that way until 1982 when the second nine was added by architect Graham Cooke. Today, the golf course stretches over 6,700 years in a full championship layout. There are four sets of tees for a variety of skill levels. Men, women and junior members of the Pembroke Golf Club are involved in a variety of competitive events in the Ottawa Valley. As a member of the Ontario Golf Association and the Ottawa Valley Golf Association (OVGA), the Pembroke Golf Club participates in the annual Intersectional matches. These OVGA events take place throughout the region and clubs move up or down in various levels given their results. These head-to-head match play events have a number of different categories and all members categories of our club (men, senior men, women, senior women and juniors) compete. Also in the Ottawa Valley are a number of annual team competitions. The storied Gordon Cup is a 14-man team event where male members participate in a number of qualifying rounds throughout the year in order to earn a position on the team. The event is held annually on Labour Day weekend and sees 14-man teams from Pembroke, Deep River, Mississippi, Arnprior and Renfrew golf clubs battle it out for Ottawa Valley bragging rights. The club has won the Gordon Cup twice in the past six years (unbelieveably, both time in a playoff!) Pembroke Golf Club was a founding member of this historic event. On the women's side, the women members also go through a season-long qualifiying to earn a spot on the team to compete for the O'Brien Cup. This is also a long-time, traditional event within which Pembroke's teams have a rich history in competiting and celebrating wins. The event also travels to clubs throughout the Valley where 12-member teams of women compete annually in August. There are a number of other team events that allow all member groups, regardless of age or ability, to represent the Cub in fun, competitive tournaments held throughout the Valley. These include the Ashley-Brown Cup (senior men), the Quattrocchi Cup (7+ handicap men), the Fraser Cup (10+ handicap men), the Longpre Cup (15+ handicap men) and the Blakely Cup (juniors). In addition, many of our members compete at events in the Ottawa zone including regional and provincial championships. The Pembroke Golf Club has a great history of producing competitive golfers in all categories. Dan grew up in Pembroke and has been back in the area for 15 years. In addition to operating the Pembroke Golf Club for the past 10 years, he just completed his 15th season of overseeing the operation of the Island Brae Golf Club. After completing his post-secondary education at McGill and Carleton universities, Dan finished the requirements to become a Head Golf Professional in the Canadian Professional Golfers’ Association (Canadian PGA). 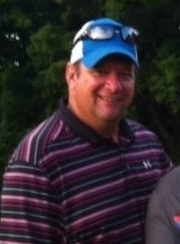 He began working in the golf industry at 15 years of age and has been involved in the golf business for over 30 years. He worked as an Associate Golf Professional at two of the most prestigious golf courses in the country – The Royal Ottawa Golf Club and the Thornhill Country Club. Dan also spent five years as the Golf Professional/Manager at the Arnprior Golf Club prior to purchasing the Island Brae Golf Club. He has extensive experience in all areas of the business including: teaching, tournament organization, merchandising, membership, promotion, accounting, human resources, food and beverage operations, golf course financing, golf course maintenance, etc.